Research centers are associate non-academic partners of EMSE hosting students for internship or thesis’ work. They are members of the EMSE Task Force and take part in the development and evaluation of EMSE’s curriculum and its learning outcome against the market needs. Industrial partners are periodically invited to participate in EMSE lectures or summers schools. The Task Force meets annually. VTT is the biggest multitechnological applied research organisation in Northern Europe. VTT provides high-end technology solutions and innovation services. From its wide knowledge base, VTT can combine different technologies, create new innovations and a substantial range of world class technologies and applied research services thus improving its clients' competitiveness and competence. Through its international scientific and technology network, VTT can produce information, upgrade technology knowledge, create business intelligence and value added to its stakeholders. Fraunhofer Institute for Experimental Software Engineering (Fraunhofer IESE) is one of the worldwide leading research institutes in the area of software and systems development. A major portion of the products offered by our collaboration partners is defined by software. These products range from automotive and transportation systems via automation and plant engineering, Information systems, health care and medical systems to software systems for the public sector. Our solutions allow flexible scaling. This makes us a competent technology partner for organizations of any size – from small companies to major corporations. Under the leadership of Prof. Dieter Rombach and Prof. Peter Liggesmeyer, the past decade has seen us making major contributions to strengthening the emerging IT location Kaiserslautern. In the Fraunhofer Information and Communication Technology Group, we are cooperating with other Franhoufer institutes on developing trend-setting key technologies for the future. Fraunhofer IESE is one of 60 institutes of the Fraunhofer-Gesellschaft. Together we have a major impact on shaping applied research in Europe and contribute to Germany’s competitiveness in international markets. Fraunhofer IESE wholeheartedly supports the European Masters programme in Software Engineering (EMSE). Fraunhofer IESE confirms its participation as associate partner to EMSE and will observe its obligations stemming from Erasmus Mundus program to make the master program a success. 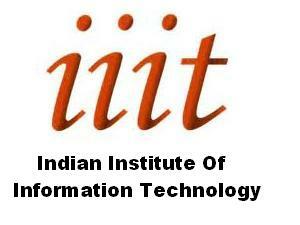 IIIT-A is established by Government of India as Higher Education Institution with a specific focus in various specializations of Information Technology. Software Engineering is one of the eight specializations of IIIT-A, In which there are academic programs being conducted at Undergraduate, Postgraduate and Doctoral levels. IIIT-A is fully funded federal Government University declared as Center of Excellence and thus gets its students from National pool of bright candidates competing nationally to get admission to institutions like IIIT-A. IIIT-A has specialized Manpower, state of art Technology and though a young University (~15 Years) but well placed Alumni, registering strong presence in IT Industry and Academia both. IIIT-A is mandated to establish mutually beneficial collaboration with leading Universities worldwide in its current phase of extension. IIIT-A wholeheartedly supports EMSE, confirming its participation as associate partner to EMSE and that it will observe its obligations stemming from Erasmus Mundus programme to make the master programme a success. The Network of IMDEA Institutes is an institutional framework established by the Community of Madrid under the Fourth Regional Plan for Scientific and Technological Research (PRICIT) to combine and effectively increase the support of both the public and private research in the region, and to direct it towards the needs of the economy and society as a whole. 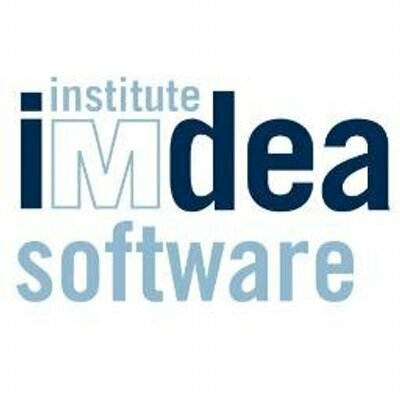 The IMDEA Software Institute focuses its research activities on technologies for the efficient and cost-effective development of reliable and high quality software. This area has been chosen by the ubiquity of software and its key role as enabling technology in many areas, as well as the cost of developing high-quality software and the significant problems which can derive from their faults. The primary mission of the Institute is to conduct research of excellence at the highest international level, attracting top researchers from around the world, creating a critical mass capable of worldwide impact, collaborating with similar institutions in Spain and the rest of the world, and contributing in collaboration with universities and degree-granting institutions to graduate education where research is the first and foremost activity. Scientific Objectives The Institute has established a number of key objectives that are particularly relevant in a number of fields of application areas , including embedded systems include, real-time, security software, or cloud-oriented computing. These areas are relevant to many sectors: aerospace, banking, automotive and transportation industry , or services, among others. The scientific objectives are: Modeling: Development of language and techniques of representation systems and analysis of their properties in the early stages of development. Security: Detection and prevention of software security problems, including protecting information using cryptographic techniques, preventing computer attacks, fighting malware, verifying software, etc. Optimization: Techniques designed to provide programmers with the production of high performance programs, including the possibility of certifying these benefits. Programming: Improvement of programming language and environments with the ability to perform runtime verification, debugging, resource usage, program synthesis, testing, etc. The IMDEA Software Institute wholeheartedly supports EMSE, confirming its participation as associate partner of EMSE and that it will observe its obligations stemming from the Erasmus Mundus programme to make the master programme a success. Tongji University is one of the leading universities directly under the State Ministry of Education in China. It offers degree programs both at undergraduate and postgraduate levels. The university has 33 colleges and 6 university hospitals located in different campuses. The university now registers over 50,000 students at all levels from certificate and diploma courses to Bachelors Degrees, Masters, PhD programs and postdoctoral attachments. School of software engineering at Tongji University was founded in 2002. It was established under the approval of the Ministry of Education of China and the former State Planning Commission, as a national model school in software engineering. The school is located in Jiading Campus of Tongji University, which covers approximately 8400 square meters, with an enrolment of 2900 students of all degrees. It provides various majors, Including enterprise computing and software technology, service engineering (mainframe technology), software engineering and projects management, image processing and graphics, and new media technology science. 20% of those professional courses are cooperated with foreign universities and famous enterprises, 20% are conducted by senior experts of enterprise technology. The school has a distinctive team of teachers, between university professors and enterprises experts, between domestic scholars and foreign researchers, has made this team characteristic and diverse. 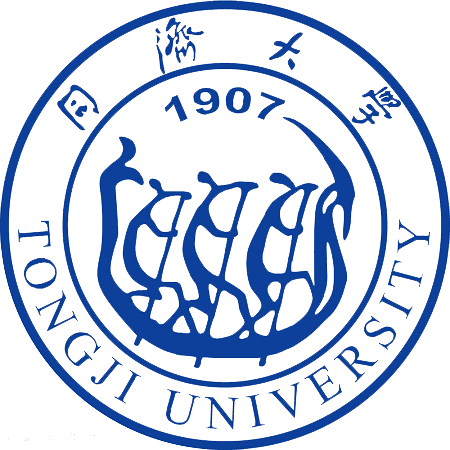 Tongji University wholeheartedly supports the Freie Universität Bozen – Libera Università di Bolzano in their joint application, with Technische Universität Kaiserlautern, Germany, Universidad Politècnica de Madrid, Spain, and Oulun Yliopisto, Finland, for EMSE. School of Software Engineering at Tongji University confirms its participation as associate partner to EMSE and will observer its obligations stemming from the Erasmus Mundus programme to make the master programme a success. Federal University of Bahia is the leading university in the State of Bahia, Brazil. It maintains 112 undergraduate courses and 168 postgraduate courses, including PhD (44), MSc (71) and specialization courses (18), as well as medical and professional residencies (35). In 2012, UFBA had about 28,500 students : 32,000 in undergraduate courses and 6,500 in postgraduate courses. Its Computer Science Department (DCC) is part of the Mathematics Institute (IM) and was established in 1968 with the creation of one of the first undergraduate courses in computer science in Brazil. The computer Science Department currently supports: (1) a teaching degree in Computing Education; (2) three bachelor degrees *Computer Science, Information Systems and Computer Engineering(; and two master and two doctoral degrees (Mechatronics and Computer Science). UFBA’s Software Engineering Laboratory (http://les.dcc.ufba.br), prospective host of the students of the European Masters Course in Software Engineering (EMSE), was established in 2009 and is the largest research group on software engineering in the State of Bahia. It congregates several academic labs and also hosts the Fraunhofer Project Center for Software and Systems Engineering (FPC), a joint initiative of UFBA and the Fraunhofer Gesellshaft (http://fpc.dcc.ufba.br). The Federal University of Bahia wholeheartedly supports EMSE, confirming its participation as associate partner to EMSE and that it will observe its obligations stemming from Erasmus Mundus Programme to make the master programme a success. ICMC-USP) is one of the most important Brazilian institutions acting on both the development of scientific research and the training of human resources in Applied Mathematics, Computer Sciences and Systems, Mathematics, and Statistics and their related areas. It is organized in four departments with more than 150 faculty members/professors. There are over 1,300 undergraduate students and over 600 graduate students. Graduate Programs in Computer Sciences and Computational Mathematics is ranked with a grade 6 (out of 7) and Graduate Program in Mathematics is ranked with grade 7 by CAPES agency of the Brazilian Ministry of Education. The research and education activities at ICMC-USP are internationally recognized. Its faculty, postdocs, and students have taken part of important scientific events and joint projects and agreements with foreign institutions abroad. The research groups have received constant support from international and Brazilian funding agencies. Also notewhorty is the ICMC-USP commitment with technological innovation through its collaboration with the industry, research centers and government agencies. The ICMC-USP wholeheartedly supports the Freie Universität bozen – Libera Universitá di Bolzano in their joint application with Technische Universität Kaiserslautern, Germany and University of Oulu, Finland and the Universidad politećnica de Madrid, Spain. The ICMC-USP confirms its participation as associate partner to EMSE and will observe its obligations stemming from the Erasmus Mundus programme to take the master programme a success.